Solid ring base applied at angle; flaring lower wall. 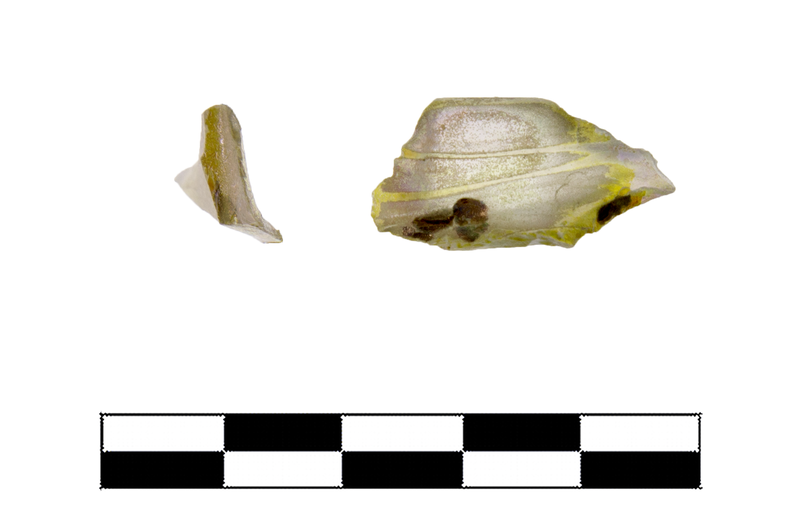 Yellow colorless (PMS 600C), translucent. Fine material. One fragment preserves small part of base. Slight, extensive dulling and iridescence; slight, sparse pitting and chipping.